Women's Casual Tee by ZXH 50% Off on Amazon! Women’s Casual Tee by ZXH 50% Off on Amazon! Women’s Casual Tee 50% Off! Check out Amazon.com for this Women’s Casual Tee 50% Off for a limited time just by using the code 4KXFS4S8 at checkout! It is that simple! 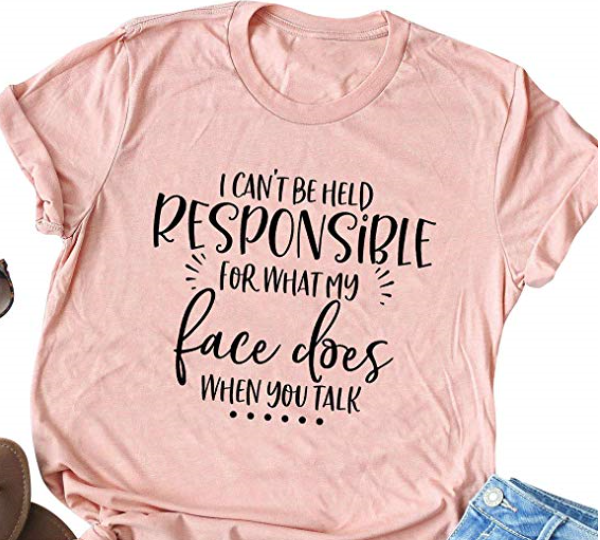 This fun shirt features a saying that is sure to get a few laughs, and it comes in 3 colors to choose from!